Not “My Unity.” OUR Unity. Recently in coming across some Edgar Cayce writings, I learned that he believed that the 1st lesson every individual should learn for their own soul development is cooperation. That really made me stop and think. It brought up a lot of questions for me. What is real cooperation? What does it mean to collaborate, to co-create? What is it like to be part of a group of diverse and committed people working together in a common purpose? And how does that experience make me grow spiritually? I believe this is the heart of the questions our Ft Collins Unity community needs to ask as decisions are made together in the upcoming weeks. What do we mean when we say, “our unity”? Join us this Sunday as our own Tim Wade speaks to us about the mystery of not-knowing. In the Age of Information, knowledge is king. And yet the more we learn, the more we realize how little we know. What if the the road to spiritual maturity is not in knowing more, but in becoming comfortable with “not knowing?” Can we learn to feel secure in a profoundly mysterious universe? Why do we exist? What do we do? How do we behave? How will we succeed? He and some of the workshop participants will be sharing the journey of our March 30th session on Vision-Mission-Core Values. Rev. Dr. Steve Colladay, an ordained Unity minister, is a certified ministry skills and transitional consultant for the central office of Unity Worldwide Ministries in Lee’s Summit, Missouri. He has served as a senior minister for 21 years in 4 Unity ministries, and 3 years as a transitional ministry specialist, and 15 years as a church growth consultant. Steve has been a regional Unity board of trustee member in 3 regions–south central, southeast, and northwest Unity regions, as well as sub-regions in Dallas and UMASS (southeastern states). 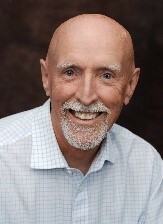 Steve is a pianist, composer and a producer of programs for mindfulness and mediation techniques for veterans, first responders (police, fire, EMS), and athletes. An avid marathon runner, he has completed 29 marathons, and four 36-mile ultra-marathons. All kinds of delicious insights and spiritual growth and en-Lightening experiences come from working on this simple adage. Like many things that sound simple, however, it isn’t always easy. Truly knowing ourselves takes work. It requires a willingness to delve deep and to practice rigorous honesty. It takes our focus off of other people’s behavior and directs it towards our own. It is a much richer process than that. As we come to know ourselves better – all the parts of ourselves – we hold fast to the knowledge that we are children of the Source of All-That-Is. And we are GOOD. As we work on knowing ourselves better, we can be filled with joy as we come to recognize ourselves as spirit in human form. In a recent morning meditation and journaling, I found myself connecting on a very deep level with the extraordinary power of gratitude. This is a message that we hear and know and talk about a lot at Unity, but sometimes when challenges come, we forget about it. It has been my experience over and over that Gratitude is a direct line to Spirit. It doesn’t matter what frame of mind or mood we are in, it doesn’t matter how confused or challenged or fearful we may feel, a few minutes of naming our blessings is the quickest reminder that we are not alone. We are held and cared for in multiple—and often totally unexpected—ways. When we get off the Pity Pot or the Fear-Mongering Machine, we can choose to jump on the Gratitude Express and all of a sudden, our blinders fall off and we see limitless abundance all around, and in, us. And then we truly know that All is Well. Practice: If you don’t already do a daily gratitude practice, consider starting one. It can be as simple as jotting down five things every day that you are grateful for. Make it specific. Don’t just say, “my friends.” Say instead, “Maria: her infectious laugh, her long hugs, her nonverbal understanding,” etc. If you already do a gratitude practice, change it up a little. Get creative. Maybe send a note of thanks every day, etc. And if there is something specific you are struggling with, challenge yourself to start naming the (hidden?) blessings in it.